DAG solves the limitations of blockchain and allows the technology to scale infinitely and at negligible cost. Blockchain technologies and cryptocurrencies have proven to be successful mechanisms for managing payment transactions over the last several years. Currencies such as Bitcoin, Ethereum and many others have enjoyed exponential growth in popular interest and adoption, while blockchain technology has been been utilised in many applications. Indeed, many have likened cryptocurrencies to the early internet, citing its enormous potential to disrupt payment systems in the same way the internet disrupted information accessibility. However, online payment solutions in general, and cryptocurrencies in particular, lack the ability to scale in volume and speed. 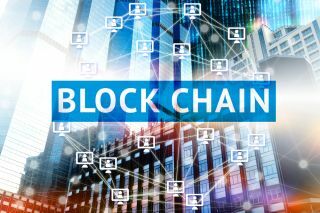 Several blockchain-based technologies have been created to tackle the challenges posed by providing high transaction throughput while remaining inexpensive, but these have been met with little success. Another challenge faced is the lack of trust between unknown parties, which leads to countless chargebacks and transaction cancellations. Moreover, merchants are often classified as ‘high-risk’ or ‘low-risk’ based on their association with a particular industry, rather than their demonstrated behaviour. In the online payments sphere, a handful of companies have attempted to create new protocols to overcome the challenges of scalability and ease of use in blockchain technologies. Nevertheless, they have proven incompatible for payment use cases—at least not at the level of scale and trust that is demanded of the industry. As it stands, linear block confirmation protocols have not been able to provide feasible solutions for the recognized shortcomings of blockchains. What is a DAG blockchain? Taking off from blockchain-based ledgers, a number of companies have harnessed the potential of directed acyclic graphs (DAGs) to facilitate a unique way of solving the scalability challenge. While a handful of tech companies have adapted varying approaches to the DAG, each node is generally depicted as a transaction in time and must attach to prior transactions in order to be confirmed. DAGs squarely address the biggest challenge of blockchains by providing an efficient workaround to scalability limitations. Blockchain limitations are solved by using DAG as the base of their network. This allows to scale infinitely and at negligible cost. Transactions will be approved in the blink of an eye. There are currently only a handfull of currencies that use the next generation DAG architecture. How can DAG models improve blockchain technologies, which are already so preeminent all around the world? The blockchain industry has provided several mechanisms to achieve consensus. Proof-of-work (PoW) was one such method introduced by Bitcoin’s famous Satoshi Nakamoto. In the payments realm, however, it is quite clear that there is a counterproductive incentive structure existing between the level of miner compensation and the amount of users transacting in a system with inherently low scalability. Add to this the enormous electricity waste of PoW systems and increasing mining farm monopolies. Proof-of-stake mechanisms (PoS) emerged to address such downfalls, but confirmation speeds have remained low. While Bitcoin can confirm 3-5 transactions per second (TPS), Ethereum’s maximum is 20 TPS. To this effect, both PoW and PoS models have not been able to meet the needs of consumers who have grown accustomed to efficient Visa and Mastercard confirmation times, which can reach 65,0000 TPS. Creating trust between two disparate parties is also a well-known challenge. For the sub-industry of anonymous payments, the issue is irrelevant, but for the layer of merchant-consumer, consumer-consumer, and acquirer-to-issuer transactions — the crypto world should be poised to provide a solution. Distributed ledgers based on a DAG data structure, uses a mathematical model on a base protocol, consisting of transactions that propagate unidirectionally. The flow of new transactions can been modeled using the Poisson process. Trust Scores are the key mechanism by which new, unconfirmed transactions select prior transactions to validate in order to reach faster transaction confirmation consensus. Each new transaction must validate two previous transactions with a similar Trust Score threshold, or points that have no inbound transactions in the DAG. It then validates those sources and becomes a source itself. To understand how this is done, it is important to note that a user’s private key is associated with his or her public key. While any person can sign the bundle hash, only the owner of the private key can sign it in such a way that the result of the verification with the public key is the same as the original bundle hash of the transaction. This is how a transaction’s signature is checked against the sender’s public key. In a DAG system, an algorithm enables a new transaction to be verified by two previous transactions before it is added to a node. All nodes contain a series of transactions and are acyclic in nature, meaning any given transaction cannot be encountered a second time on another node. This eliminates the problem of double spending while foregoing the need for miners and stakes. What’s more, all transactions are immutable as all nodes flow in a specific direction and cannot be traversed on an opposite trajectory, meaning A → B is not B ← A. Because miners are eliminated in a DAG, processing times will be cut drastically, as well as fees. The ledger is therefore organised as a DAG, where the vertices represent transactions and directed edges extend from each transaction to two others that it validates. To reach transaction consensus, we need to find the heaviest cumulative chain. If the cumulative chain has surpassed a predetermined threshold, then the transaction will have reached a ‘trusted’ consensus and can be confirmed. Those with higher Trust Scores are incentivised with optimised transaction confirmations, as their chain can reach the required cumulative Trust Score threshold faster. The implicit nature of the DAG structure and validation process enables the protocol to reach faster consensus — achieving a transaction confirmation rate of 10,000 TPS. Could DAG blockchains become Blockchain 3.0? The short answer here is, yes. The potential is there. However, it will depend on real world use cases and the ability to implement practical scalability. DAG-based projects, such as COTI, IOTA and Hashagraph, are decidedly gaining speed, as they are tailor-made for projects with a high-demand for scalability, such as the online payments industry and Internet of Things (IoT). While greater scale in blockchain-based networks leads to adverse effects on network usability, in DAG-based networks greater network usage leads to improved network scalability. As such, there is a positive correlation between the number of network users and the rate at which transactions are confirmed. This makes the DAG ideally suited to achieve full decentralisation without compromising on scalability, instantaneity and low-to-zero fees. It is important to note that DAG projects are far from being perfect. The use of smart contracts in conjunction with DAGs has yet to take off, although it would be positioned to solve scalability challenges. Moreover, one of the key challenges with the use of DAGs is their vulnerability to double spending attacks, in which a malicious party can attempt to spend the same amount of money twice across different locations in the network. This, of course, is a massive challenge as real money is at stake here. However, there are several projects working relentlessly to solve this issue without the cost of harming scalability and so we will certainly be hearing about DAG blockchain a lot more in the near future.